Cash: What is your net worth? Can you handle the payments if your income is stopped for any reason? 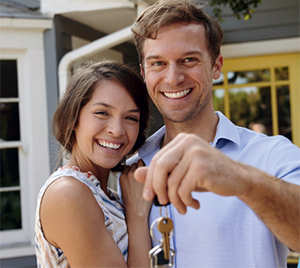 Are you making a down payment? If yes, how much? RULE OF THUMB Have at least 5% of your purchase price to put down (actual down payment needed will vary depending on your loan program) Should have 2 to 3 months of house payments in your checking or savings account after closing. Collateral: What type of real estate are you buying? Condo, town home, single family, commercial, mixed-use, etc. What is the current market value of the real estate, and how was this determined? What is the structure’s current condition and marketability in case of foreclosure? Credit History: What is the likelihood that you will repay the loan in a timely manner? What is your past payment history with other creditors? Is there a reasonable explanation for any challenges in your past? RULE OF THUMB No late payments in the last 12 months Multiple credit lines open with 24-month history At least one credit line with a limit over $1,000. Capacity to Pay: Can you afford the new payment? What is your likelihood of being able to continue to afford this new payment? If you were to lose your current income stream, would you reasonably expect to replace that same income? RULE OF THUMB Two years in the same line of work Limit total home and credit payments to 40-45% of monthly, before-tax income. Change of Payment: How much is your monthly housing payment increasing? Where is the extra money coming from? Will this cause a hardship? RULE OF THUMB Monthly payment increase should be proportionate to income and savings history Buying a home should not create problems paying for basic needs such as groceries, utilities, gas, clothing, etc. Remember to get pre-qualified for your dream home before you shop so you know how much you can truly afford; or, if you’re just thinking about a refinance call 425-405-9973 and ask to speak with a Loan Officer. We offer a wide range of products with flexible down payment options.